Here is my week roundup of my Instagram bits, this week was the start of a very hectic next 8 months, so I don't have a ton to show u. 1. An Outfit of the Night, Always mixing prints ! 2. Received my EllandEmm order, so excited !!! 3. My Project 10, I'm hanging in there ! 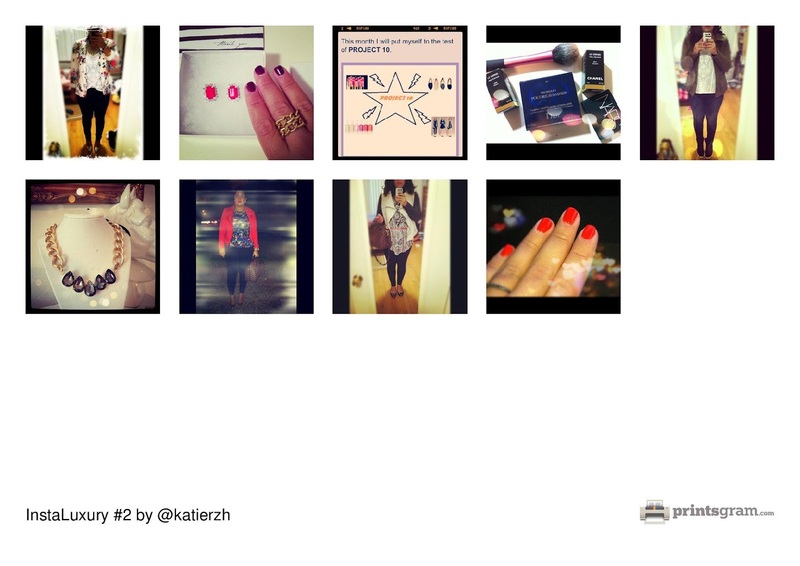 I hope you enjoy this little weekly roundup, come and follow me on INSTAGRAM @katierzh.